I know it is only October but lets get real if we are making things for people on our Christmas lists we have already started planning and designing. Many of you have memory quilts on your list. Some will be made from T-shirts, some from ties, and some from that special person’s clothes. No matter what your quilt design Happy Memories has the supplies you need to get the job done and done beautifully. Whether you are making your first T-shirt quilt or are using new to you items in your quilt such as dress shirts and polo shirts there are tools, supplies and information available on our website for you. 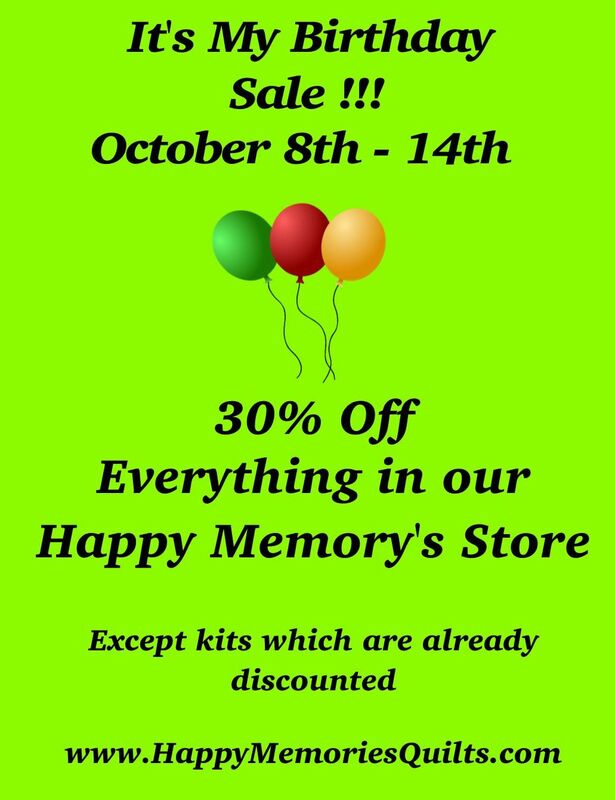 And right now you can get all those tools and supplies for 30% off if you go to the web store at www.HappyMemoriesQuilts.com/our-store.htm! Also, check out the links below to go directly to my classes that will teach you all you need to know to get those projects done easily and without stress. Don’t want a class, check out my book, Easy Memorabilia Quilts, Ties, T-shirts, Photos & More for how to take just about anything and make it into a block. Also, tips and patterns that will make your gifts a breeze to design and make. Check out all my online classes for lots of techniques and tips on all the things you can do to make your memory quilts extra special. If you have any questions about the classes feel free to contact me via email at quilter@happymemoriesquilts.com.